I got a copy of Tricks with Transparency, which I wrote about a few posts ago available from fusedglass.org. Talk about a ride that’s worth the price of admission. When I’m done here raving about this e-book I’m going to make a couple of plates utilizing the techniques. So cool. One of my favorites is the dilution of color with clear glass. A very effective design tool that gives sophisticated results. Also the Impossible Cuts projects are awesome. 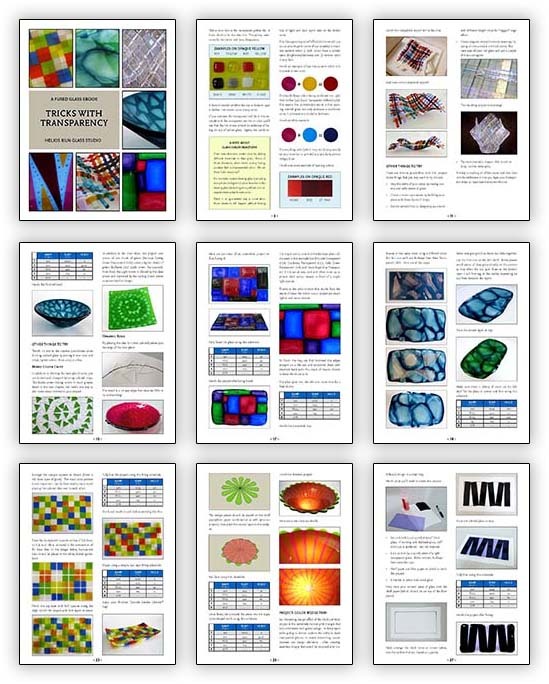 With the information provided in this e-book you can create an endless array of designs…thumbs up! !